Need help sleeping? Want to cure your insomnia? Consider medicinal plants! Research is very clear that getting a good night’s sleep is imperative for good health. Sleep improves our mental alertness, increases our immune system, removes toxins from the brain, improves mood, fatigue, energy and allows our body to secrete hormones that we need to function every day. Lack of sleep can have severe consequences on our health. The average adult needs 6 to 8 hours of sleep every night, however current research may indicate that adults need more, proposing around 9 hours of sleep per night. Our body has an internal clock called a circadian rhythm that helps to regulate our natural sleep/wake cycle. A regular sleep/wake cycle helps a person feel refreshed and able to handle day-to-day functions. Melatonin is a hormone that is secreted by our brain that causes us to feel sleepy and helps us experience sound sleep. Some people may find a melatonin supplement beneficial. Another option to consider is the sleeping environment. Is the bed or pillow comfortable? Is the room too hot or too cold? Is the noise level too high? Electronics in the bedroom? Also, consider your diet. Are you eating too much sugar? Drinking too much coffee? Eating too close to bedtime? Identifying the root of your sleeping woes is the key to overcoming it. I would encourage you to consider the following medicinal plants to help you fall asleep and treat your insomnia. While sleeping pills can seem to be the perfect quick fix, many have undesirable side effects. Most people are surprised to know that there are numerous medicinal plants for insomnia. Medicinal plants provide better sleep and beneficial, long-term sleep options, usually with little or no side effects. Five common medicinal plants for insomnia or to improve your quality of sleep include Valerian, Passionflower, Lavender, Hops, and Chamomile. Valerian is probably the most common medicinal plant used for insomnia. Research has found that it decreases the time it takes a person to fall asleep and improves the overall quality of sleep. Valerian is often used for calming a busy mind. Passionflower is a safe, gentle and relaxing medicinal plant for sleep. This plant is especially effective for those who wake frequently throughout the night. 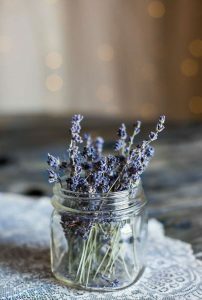 Lavender is one of my favorite medicinal plants for calm and relaxing sleep. Lavender has been used for centuries and can be utilized either by putting it on your pillow before sleeping or enhancing bed linens with the essential oil of lavender. Hops has a long medical history as a fast acting sedative. The strong bitter taste also acts on improving the digestive system. Chamomile is a traditional medicinal plant that has been used for years to help with sleep. Chamomile can be found in tea form, capsules, tinctures, homeopathic remedies and ointments. Chamomile is a mild sedative that aids in quality sleep. When having trouble sleeping, consider these top medicinal plants to help you with your insomnia. The reward may be a good night’s sleep!